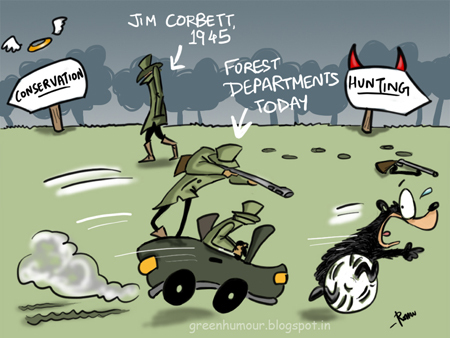 On how many occasions have we witnessed relocation programmes back-firing and forest departments failing to tackle man-animal conflicts in spite of all the funds that are sanctioned for the purpose? A lot of these cases have been 'solved' by labelling the animal in question as a man-eater and bringing it down. Are our department officials swapping professions with the great Corbett?